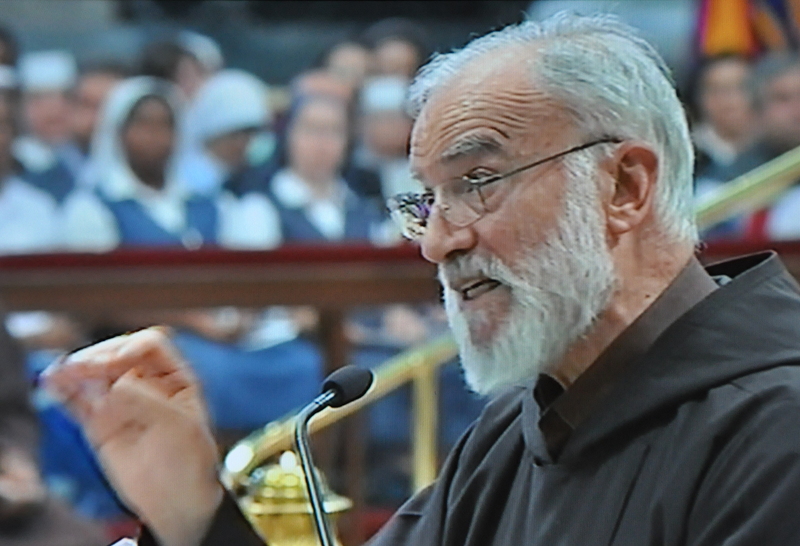 Here is the fourth Lenten homily given this year by the preacher of the Pontifical Household, Capuchin Father Raniero Cantalamessa. In the first two Lenten meditations we reflected on the Holy Spirit who leads us into all the truth about the person of Christ, causing him to be proclaimed as “Lord” and “true God.” In the last meditation we moved on from the being of Christ to the work of Christ, from his person to his action, and in particular the mystery of his redemptive death. Today, I propose that we meditate on the mystery of His Resurrection and of our resurrection. St. Paul expressly attributes the resurrection of Jesus from the dead to the work of the Holy Spirit. He says that Christ was “designated Son of God in power according to the Spirit of holiness by his resurrection from the dead” (Rom 1:4). In Christ is the fulfillment of the great prophecy by Ezekiel about the Spirit who enters into the dry bones, raises them from their graves, and makes of this slain multitude “an exceedingly great host” of people resurrected to life and hope (see Ezek 37:1-14). But this is not the line I want to pursue in this meditation. Making the Holy Spirit the main inspirer of all theology (which is the intent of what is called “Theology of Third Article!”) does not mean forcing the Holy Spirit into every assertion, mentioning him at every turn. This would not be in the nature of the Paraclete who, like light, illuminates everything while remaining, so to speak, in the background himself as though behind the scenes. More than speaking “about” the Holy Spirit, the Theology of the Third Article involves speaking “in” the Holy Spirit, with all that this simple change of preposition entails. Let us first of all say something about the resurrection of Christ as a “historical” fact. Can we define the resurrection as an historical event in the normal sense of this word—something that really happened—insofar as history is in contrast to myth and legend? To express it in the words of the recent debate: Is Jesus risen only in the kerygma, that is, in the proclamation of the Church (as someone has affirmed in the wake of Rudolf Bultmann), or did he also rise in reality and in history? In other words, is he, the person of Jesus, truly risen, or is it only his cause that has risen—in the metaphoric sense in which “rising again” means the survival or the victorious reemergence of an idea after the death of the one who proposed it? Let us see, then, in what sense there can be an historical approach to the resurrection of Christ. Not because some of us here need to be persuaded about that, but, as Luke says at the beginning of his Gospel, “that you may know the truth concerning the things of which you have been informed” (Lk 1:4) and concerning what we transmit to others. The faith of the disciples, with a few exceptions (John and the devout women), does not hold up under the test of Jesus’ tragic end. After his passion and death, a pall is cast over everything. The disciples’ inner state is revealed through the words of the two disciples on their way to Emmaus: “We had hoped that he was the one . . . . It is now the third day since this happened” (Lk 24:21). Faith is at a stalemate. The case of Jesus is considered closed. Now—still from the historians’ point of view—let us move ahead to a year, or even to a few weeks later. What do we find? A group of men, the same ones who were with Jesus, who are now repeating loudly that Jesus of Nazareth is the Messiah, the Lord, the Son of God, that he is alive and will come to judge the world. The case of Jesus is not only reopened, but in a brief amount of time it has also shifted to an absolute and universal dimension. This man is of interest now not only to the people of Israel but to all human beings of all times. “The very stone which the builders rejected,” says St. Peter, “has become the head of the corner” (1 Pet 2:7), that is, the beginning of a new humanity. From now on, whether people know it or not, there is no other name under heaven given to human beings by which they can be saved except the name of Jesus of Nazareth (see Acts 4:12). What caused such a change in these same men who had earlier denied Jesus or run away but who now declare these things publicly, who establish churches, and who even allow themselves to be imprisoned, whipped, and killed for him? They all answer in unision: “He is risen! We have seen him!” The final act the historian can perform, before yielding the floor to faith, is to verify this response. The resurrection is an historical event in a very particular sense. It is at the border of history, like the line that divides the sea from the land. It is inside and outside of history at the same time. With it, history opens itself up to what is beyond history, to eschatology. It therefore represents, in a certain sense, a break with history and a move beyond it, just like the creation did at its beginning. This makes the resurrection an event that cannot be attested to and accessed in itself by our mental categories that are wholly tied to our experience of time and space. No one was actually present at the moment Jesus was resurrected. No one can say they saw Jesus being resurrected but only that they saw him once he was risen. But they saw his empty tomb. The resurrection, therefore, is known a posteriori, after the fact. It is like the physical presence of the Word in Mary afterward that demonstrates his Incarnation; likewise it is the spiritual presence of Christ in the community afterward, attested by his appearances, that demonstrates he has risen. This explains why no secular historian says a word about his resurrection. Tacitus, who does record the death of a certain “Christus” at the time of Pontius Pilate, is silent about the resurrection. That event had no relevance or meaning except for people who experienced its aftermath within the community. What then is the ultimate point that historical research can reach concerning the resurrection? We can find it in the words of the disciples at Emmaus. Some disciples on the morning of Easter went to Jesus’ tomb and found that things were just as the women had reported when they were there earlier, “but him they did not see” (Lk 24:24). History also goes to Jesus’ tomb and must ascertain that things were as the witnesses had said. But him, the Risen One, history does not see. It is not enough to ascertain the facts historically; there is also a need to see the Risen One, and history cannot offer that; only faith can. A man running from the mainland who reaches the shore of the sea has to stop abruptly; he can continue to push forward with his gaze, but not with his feet. As we move from history to faith, the manner of speaking about the resurrection also changes. The language of the New Testament and the liturgy of the Church is assertive, authoritative, and does not base itself on dialectical demonstrations. “In fact Christ has been raised from the dead” (1 Cor 15:20), Paul says. Period. We are now on the level of faith and no longer on the level of historical argument. It is what we call the kerygma. “Scimus Christum surrexisse a mortuis vere,” says the Liturgy on the day of Easter: “We know that Christ is truly risen from the dead.” Not only do we believe it, but having believed it, we also know it to be true, and we are certain of it. The surest proof of the resurrection comes after we have believed, not before, because it is at that point that we experience that Jesus is alive. But what exactly is the resurrection from the point of view of faith? It is the testimony of God about Jesus Christ. God the Father, who had already attested to Jesus of Nazareth during his life through signs and wonders, has now set a definitive seal to his endorsement of him by raising him from the dead. St. Paul, in his discourse in Athens, formulates it this way: “By raising him from the dead, God has given assurance about him to all men” (see Acts 17:31). The resurrection is God’s powerful “yes,” his “Amen” to the life of his Son Jesus. The death of Christ was not in itself sufficient to testify to the truth of his cause. Many people—and we have tragic proof of that these days—die for mistaken causes, and even for evil causes. Their deaths have not made their cause true; their deaths only prove that they believed in its truth. The death of Christ is not a guarantee of his truth but of his love, since “Greater love has no man than this, that a man lay down his life for his friends” (Jn 15:13). Only the resurrection, therefore, constitutes the seal of Christ’s authentic divinity. This is why Jesus responds one day to those who asked for a sign, “Destroy this temple, and in three days I will raise it up” (see Jn 2:18ff), and in another place he says, “No sign shall be given to this generation except the sign of Jonah,” who, after three days in the belly of the whale, saw daylight again (see Matt 16:4). Paul is right to build the whole edifice of faith on the resurrection as its foundation: “If Christ has not been raised, then our preaching is in vain and your faith is in vain. We are even found to be misrepresenting God. . . . We are of all men most to be pitied” (1 Cor 15, 14-15, 19). We understand why St. Augustine can say that “the faith of Christians is in the resurrection of Christ”; everyone, even pagans, believes that Christ died, but only Christians believe that he is risen, and there is no Christian who does not believe that. Faith in a life in the otherworld appears in a clear and explicit way only toward the end of the Old Testament. The Second Book of Maccabees constitutes its most developed testimony: one of the seven brothers killed under Antiochus exclaims that after they die, “the King of the universe will raise us up to an everlasting renewal of life” (2 Mac 7:9; see 2:1-14). But this faith does not come suddenly of nowhere; it is vitally rooted in previous biblical revelation and represents its natural conclusion and its more mature fruit, so to speak. Two certainties in particular led the people of Israel to this conclusion: certainty about the omnipotence of God and certainty about the insufficiency and injustice of earthly recompense. It appeared more and more evident—especially after the experience of the exile—that the fate of good people in this world is such that, without the hope of a different reward for the righteous after death, it would be impossible not to fall into despair. In this life, in fact, the same things happen to the righteous and the wicked, whether it be happiness or misfortune. Ecclesiastes represents the clearest expression of this bitter conclusion (see Eccles 7:15). Jesus’ thinking on this issue is expressed in his discussion with the Sadducees on the fate of a woman who had had seven husbands (see Lk 20:27-38). In keeping with the most ancient biblical revelation, the Mosaic revelation, the Sadducees had not accepted the doctrine of the resurrection of the dead and considered it an undue innovation. Referring to the Mosaic law concerning Levirate marriage (see Deut 25, where a widowed woman without sons is to marry her brother-in-law), they speculate about the hypothetical case of a woman who married seven husbands consecutively based on that law. At the end, confident of having demonstrated the absurdity of resurrection, they ask, “In the resurrection, therefore, whose wife will the woman be?” (Lk 20:33). Without shifting away from the Mosaic law, the ground chosen by his adversaries, Jesus reveals in a few words first the error of the Sadducees and then corrects it; next, he gives the most profound and most convincing foundation for faith in the resurrection. Jesus gives his opinion about two things: the manner and the fact of resurrection. As for the fact that there will be a resurrection of the dead, Jesus recalls the episode of the burning bush when God identifies himself as “the God of Abraham, the God of Isaac, and the God of Jacob.” If God identifies himself as “the God of Abraham, Isaac, and Jacob” when these three men have been dead for generations and if, in addition, “God is the God of the living and not of the dead,” then it means that Abraham, Isaac, and Jacob are alive somewhere! However, more than on his response to the Sadducees, faith in the resurrection is based on the fact of Jesus’ resurrection from the dead. “If Christ is preached as raised from the dead,” Paul exclaims, “how can some of you say that there is no resurrection of the dead? But if there is no resurrection of the dead, then Christ has not been raised!” (1 Cor 15:12-13). It is absurd to think of a body whose head reigns gloriously in heaven and whose body decays forever on earth or ends in nothingness. Furthermore, Christian faith in the resurrection of the dead responds to the most instinctive desire of the human heart. St. Paul says that we do not want to be “unclothed” of our bodies but to be “further clothed,” that is, we do not want only one part of our being—our soul—to go on living but all of who we are, soul and body. Therefore, we do not want our mortal bodies to be destroyed but to be “swallowed up by life,” and to “put on immortality” (see 2 Cor 5:1-5; 15:51-53). In this life we have not only a promise of eternal life, we also have the “first fruits” and the “first installment.” We should never translate the Greek word arrabon used by St. Paul about the Spirit (see 2 Cor 1:22; 5:5; Ephes 1:14) as “pledge” (pignus) but only as “first installment” or “deposit” (arra). St. Augustine explains the difference clearly. A pledge, he says, is not the beginning of the payment but is money given to certify future payment. Once the payment is made, the pledge is returned. That is not the case with a deposit. A deposit is not returned when the payment is completed because it is already part of the payment. If God by his Spirit has given us love as a first installment, when he brings the fullness of what he has promised, will he take back the first installment he has given us? Of course not; instead he will bring the fullness of what has already been given. Just as the “first fruits” announce a full harvest and are part of it, so too the first installment is part of the full possession of the Spirit. It is “the Spirit who dwells in us” (see Rom 8:11)—more so than the immortality of the soul—that, as we see, assures the continuity between our present life and our future life. Concerning the manner of resurrection, on this same occasion with the Sadducees Jesus describes the spiritual situation of the resurrected: “Those who are accounted worthy to attain to that age and to the resurrection from the dead neither marry nor are given in marriage, for they cannot die anymore, because they are equal to angels and are sons of God, being sons of the resurrection” (Lk 20:35-36). One can attempt to illustrate the transition from the earthly state to the resurrected state with examples drawn from nature: the seed from which the tree springs up, lifeless nature in winter that is revived in spring, the caterpillar that is transformed into the butterfly. Paul simply says, “What is sown is perishable, what is raised is imperishable. It is sown in dishonor, it is raised in glory. It is sown in weakness, it is raised in power. It is sown a physical body, it is raised a spiritual body” (1 Cor 15:42-44). The truth is that everything regarding our condition in the afterlife remains an impenetrable mystery. 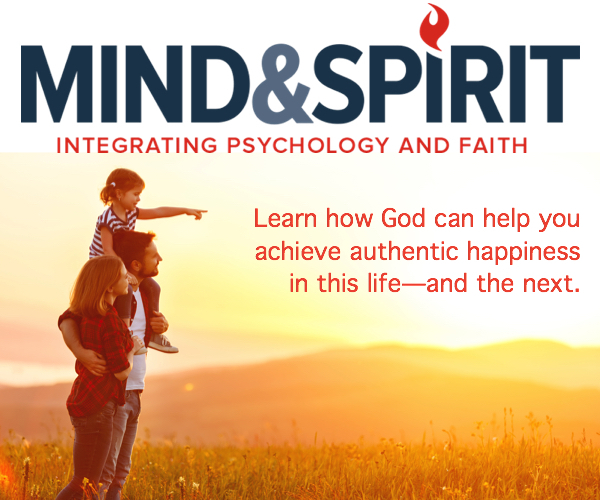 It is not because God wants to keep it hidden from us but because—as limited as we are in having to think of everything within the categories of time and space—we lack the tools to portray it to ourselves. Eternity is not an entity that exists separately and that can be defined in itself, almost as if it were a period time that stretches out eternally. It is the mode of God’s being. Eternity is God! To enter into eternal life simply means to be admitted, by grace, to share God’s mode of being. None of this would have been possible if eternity had not first entered into time. It is in the risen Christ, and thanks to him, that we can be clothed with God’s mode of being. St. Paul describes what awaits him after death as “departing and being with Christ” (see Phil 1:23). The same thing can be deduced from Jesus’ words to the good thief: “Today you will be with me in Paradise” (Lk 23:43). Paradise is being “with Christ,” as his “co-heirs.” Eternal life is a reuniting of the members to the head to form one “entity” with him in glory, after having been united to him in suffering (see Rom 8:17). A deightful story narrated by a modern German writer helps us have a better idea of eternal life than any attempts at rational speculation. In a medieval monastery there were two monks who had a deep spiritual friendship. One was called Rufus and the other Rufinus. They spent all their free time trying to imagine and describe what eternal life would be like in the heavenly Jerusalem. Rufus was a builder, so he imagined it as a city with doors of gold studded with precious stones. Rufinus was an organist, so he imagined it as full of heavenly music. While playing the organ one night, Rufinus died of a heart attack. His friend Rufus stayed awake all night anxiously, but nothing. He kept vigils and fasted for weeks and months, but nothing. Finally on the anniversary of his death, Rufinus entered his friend’s cell at night surrounded by a circle of light. Seeing that Rufinus was silent, Rufus, sure of an affirmative answer, asked his friend, “Taliter? Isn’t that right?” But his friend shook his head no. Rufus desperately cried out, “Aliter? It’s different?” And again his friend shook his head no. Finally two words suddenly came forth from his silent friend: “Totaliter aliter” “Completely different!” Rufus understood instantly that heaven was infinitely more than what they had imagined and could not be described. He also died shortly after because of his desire to be there. When people want to cross a stretch of sea, said St. Augustine, the most important thing is not to stay on the shore and squint to see what is on the opposite shore but to get in a boat that takes them to that shore. For us as well, the most important thing is not to speculate about what eternal life will be like for us but to do the things we know will get us there. May our day today be a small step in that direction. Cornelius Tacitus, The Annals of Imperial Rome, 15, trans. Michael Grant, rev. ed. (New York: Penguin, 1996), p. 365. Martin Dibelius, Jesus, trans. Charles B. Hedrick and Frederick C. Grant (Philadelphia: Westminster Press, 1949), p. 141. Charles H. Dodd, History and the Gospel (London: Nisbet, 1952), p. 109. See Søren Kierkegaard, Diary, X, 1, A, 481, trans. Peter P. Rohde (New York: Carol Publishing, 1993), pp. 163-165. St. Augustine, “Psalm 120,” 6, Expositions of the Psalms 99-120, trans. Maria Boulding, part 3, vol. 19, ed. John E. Rotelle (Washington, DC: Catholic University of America Press, 2003), p. 15; see CCL, 40, p. 1791. See St. Augustine, “Sermon 23,” 9, Sermons II (20-50) on the Old Testament, trans. Edmund Hill, Part 3, vol. 2, The Works of Saint Augustine, ed. John E. Rotelle (Washington, DC: Catholic University of America Press, 1990), p. 60. Hans Franck, Der Regenbogen: Siebenmalsieben Geschichten (Leipzig: H. Haessel, 1927). St. Symeon the New Theologian, “Thanksgiving at the Threshold of Total Illumination,” The Discourses, trans. C. J. deCatanzaro (New York: Paulist Press, 1980), p. 375. St. Augustine, On the Trinity, 4, 15, 20, p. 172; see also Confessions 7, 21, trans. John K. Ryan (New York: Image books, 1963), pp.179-180.